HOUSTON, Texas, July 10, 2013 (ENS) – In a flare gas recovery agreement that is the first of its kind in the United States, Shell Oil will spend $100 million on innovative technology to reduce air pollution from burning off waste gases at one of its largest refineries. The agreement is part of a settlement reached by Shell with the U.S. Justice Department and Environmental Protection Agency today to resolve alleged violations of the Clean Air Act at a large Shell refinery and chemical plant in Deer Park, Texas. Shell processes 330,000 barrels per day of crude oil at its Deer Park facility, the 11th largest refinery in the United States. Shell Deer Park is a 1,500-acre complex located 20 miles east of downtown Houston along the Houston Ship Channel. Shell has agreed to pay a $2.6 million civil penalty for alleged air pollution and, in addition, to spend $1 million on a state-of-the-art system to monitor benzene levels at the fenceline of the refinery and chemical plant near a residential neighborhood and school and to make the data available to the public online. “This case is part of EPA’s nationwide enforcement effort to protect fenceline neighborhoods by significantly reducing toxic pollution from flares and making information about pollution quickly available to affected communities,” said Giles. Once fully implemented, the pollution controls required by the settlement will reduce harmful air emissions of sulfur dioxide, volatile organic compounds including benzene, and other hazardous air pollutants by an estimated 4,550 tons or more per year. The controls will also reduce emissions of greenhouse gases by approximately 260,000 tons per year. “This settlement will result in substantial reductions in toxic air pollution through state of the art technology and increased efficiencies at the Deer Park plant,” said Acting Assistant Attorney General Robert Dreher of the Justice Department’s Environment and Natural Resources Division. “This agreement will bring Shell Oil’s refinery and chemical plant in Deer Park into compliance with the nation’s Clean Air Act and result in cleaner, healthier air for residents in the local communities for many years to come.” said Dreher. The settlement was filed at the same time the Justice Department filed a complaint on behalf of EPA alleging, among other things, that the company improperly operated its 12 steam-assisted flaring devices in such a way that excess VOCs were emitted. In addition to reducing pollution from flares, Shell will modify its wastewater treatment plant; replace and repair tanks as necessary; inspect tanks biweekly with an infrared camera to better identify potential integrity problems that may lead to leaks; and implement enhanced monitoring and repair practices at the benzene production unit. When fully implemented, these specific projects are estimated to cost between $15 and $60 million. In a second project to benefit the community, Shell has agreed to spend $200,000 on retrofit technology to reduce diesel emissions from government-owned vehicles which operate near the Deer Park complex. These actions will cut emissions of pollutants that can cause significant harm to public health. Exposure to high concentrations of sulfur dioxide can affect breathing and aggravate existing respiratory and cardiovascular disease. VOCs are a key component in the formation of smog or ground-level ozone, a pollutant that irritates the lungs, exacerbates diseases such as asthma, and can increase susceptibility to respiratory illnesses, such as pneumonia and bronchitis. Chronic exposure to benzene, which EPA classifies as a carcinogen, can cause numerous health impacts, including leukemia and adverse reproductive effects in women. In addition, the Deer Park chemical plant produces some 8,000 tons per day of products that include ethylene, benzene, toluene, xylene, phenol, and acetone. 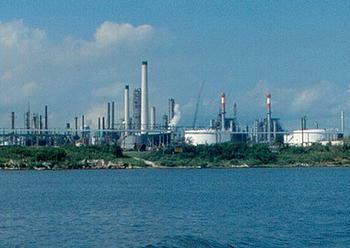 Both the chemical plant and the refinery operate 24 hours a day, 365 days a year. The consent decree, lodged in the Southern District Court of Texas, is subject to a 30-day public comment period and court approval. Today’s settlement is part of EPA’s national effort to reduce emissions of toxic air pollutants by cutting the amount of waste gas sent to flares and improving flare operations. Improper operation of an industrial flare can send hundreds of tons of hazardous air pollutants into the air. 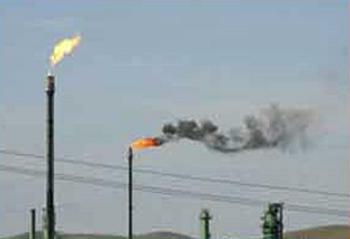 The more waste gas a company sends to a flare, the more pollution occurs. The less efficient a flare is in burning waste gas, the more pollution occurs. EPA wants companies to flare less, and when they do flare, to fully burn the harmful chemicals found in the waste gas.